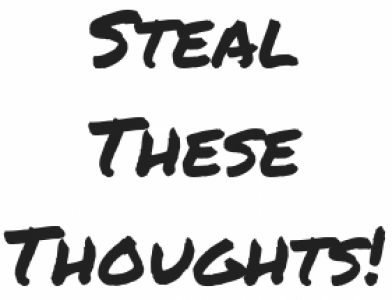 communication – Steal These Thoughts! Sometimes we all say too much or even too little. Remember that argument with a loved one or a debate with a co-worker, where you wish you had just kept your mouth shut and thought about the words coming out of your mouth? We’ve all been there. The most powerful thing you can do in these situations is to remain silent and listen, like really listen. Think about your response, the words you use, it’s within you’re reasoned choice to decide how you act and what you say – never forget that. Subscribe to my newsletter for more content like this. Talking to others is one of the most natural things we do. A good conversation has the power to heal and change your mood, speaking up and speaking out are vital for your mental health. Make sure you share with others, listen, learn and be a force for good. Why don’t we talk like we used to? how sleep and our mental health go hand in hand, plus step away from your screen. We talk about disconnection in a connected world, the link between sleep and mental health and more. Don’t forget to subscribe if you like what you see – you’re free to leave at anytime. Being a storyteller is an important component to expressing your ideas and gaining support. Develop the skill of building an engaging narrative to bring your audience on a journey and most importantly, identify how to communicate with different audiences. In developing your communications and engagement plans, you must know the audience you’re speaking with. How do they digest information? Do they respond better to simple language or a bit more detail? Are they visual or prefer a more intimate style? Success in getting audiences to buy into your ideas is by knowing them, knowing how to engage and tell your story in a way they understand. Anything less is selling yourself and them short. That’s the secret to a great story, conversation, marketing campaign or narrative they told me and you know what – it’s true. I think about this a lot, when I’m trying to connect with people on their own learning journey. How do I convey just how great these resources are and why it will help them? I always come back to tapping into emotions. You have to make them feel something. That could be the fear of missing out or the excitement of acquiring a new skill, you have many options available to you. I explore more of this in my longer form article, where I talk about using the power of neuroscience in your communication campaigns – it’s worth a read if you’re a nerd like me.